best show last year, no doubt. although game of thrones is really really close. that cap is a great choice, and that particular episode was off the charts. Obviously happy about this one, although I think it was clear even from the nominations voting that it was going to win. And Game of Thrones was less popular with our voters than you'd think. And Game of Thrones was less popular with our voters than you'd think. oh I never thought that GoT stood a chance against BB, I meant that for me is really close to the greatness of it, in fact, I cant decide which I like better, fortunately i can enjoy both. 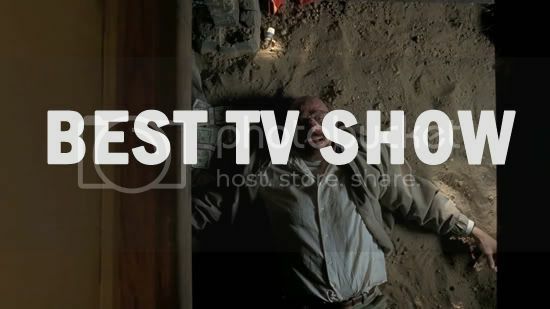 Breaking Bad deserved it, but I'm still sad that Friday Night Lights will never get another chance to be nominated. at the risk of being banned from the site, ill confess i havent seen FNL. I voted for Breaking Bad but GoT was a close second. I wanted to vote for GoT. I kept trying to talk myself into going with GoT. In the end I couldn't do it. Breaking Bad clearly had the best season of any show from last year.